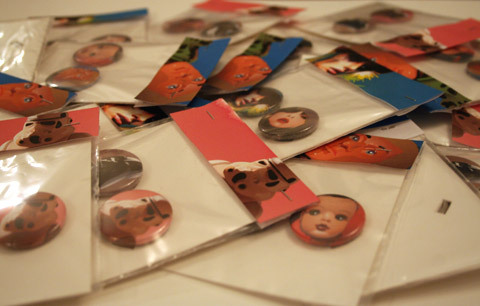 So with the bug of doing short run’s of products myself, here’s my production line of badges! 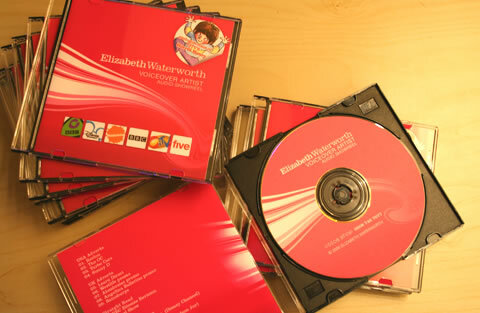 Available in packs of 2 and produced in 3 series: ‘fantastic plastic 1’ & ‘2’ and ‘Untitled’. 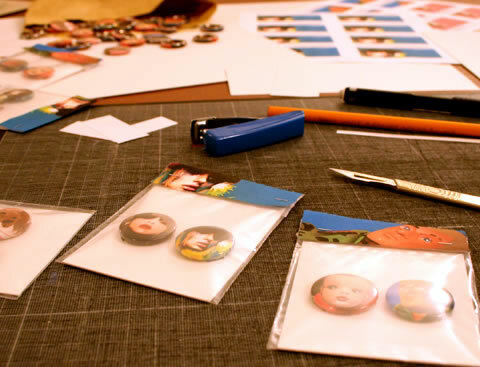 My thanks to Martine for the badge production. So today I started work on the electric’s in the flat. After reading up on how to chase (make them flush) double sockets into walls and seeing that the pictures made it look really simple I was ready for action. What these DIY books don’t tell you is what to do when you come across reinforced concrete. 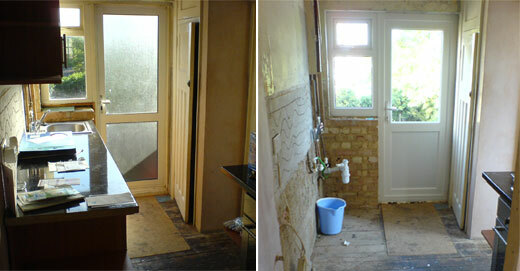 So I’ve decided to make my own photo journey of “doing up my flat”. 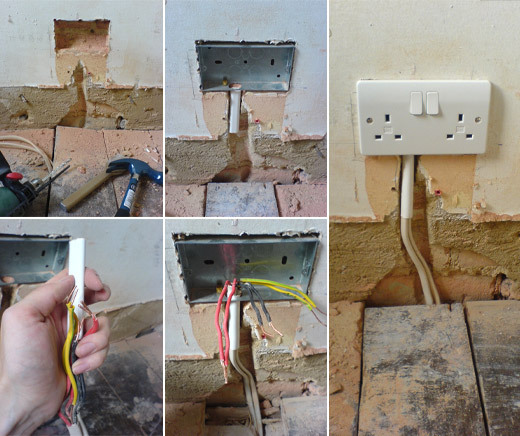 Here’s the first one, rewiring and sinking a double socket into a wall. Note how I manage to get 2 spurs of cable through that bit of conduit, and also I’m colour blind… result!! 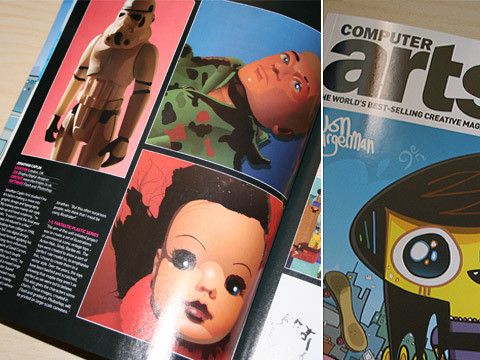 Fantastic Plastic works features in Computer Arts – Issue 127. Thanks for the heads up Dan!